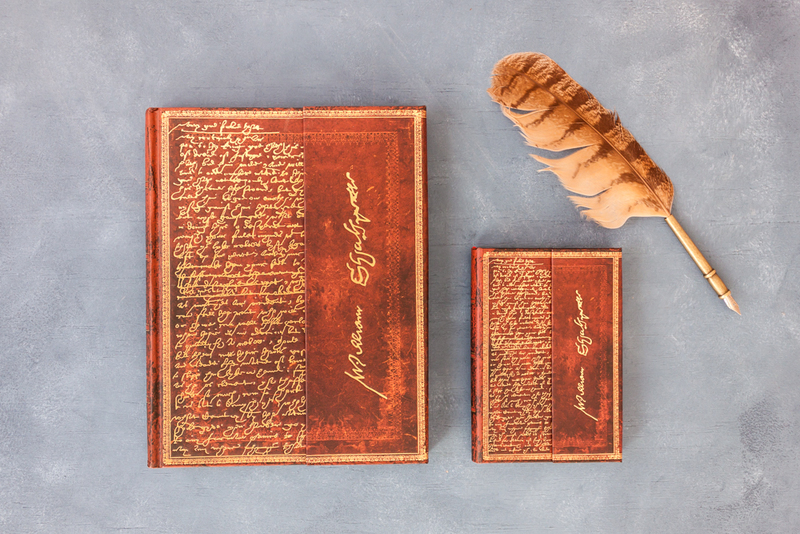 Home Our Designs Shakespeare’s Draft of Sir Thomas More Is Back in Our Collection! William Shakespeare (1564–1616), long considered the greatest of the English writers, has left us few traces of his handwriting. The banned play Sir Thomas More (1595) was written and revised by five different playwrights, of whom Shakespeare was believed to be one. 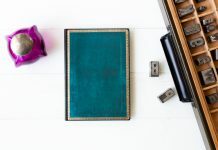 Because of this uncertainty, Shakespeare’s possible contribution to the handwritten manuscript of the play Sir Thomas More, reproduced here, has been hotly debated over the centuries. The play was heavily censored and even banned when it was released and is believed to have never been performed during its time. However, scholars now accept that three manuscript pages of the play were handwritten by him and , despite the persistence of some dissenters, the play has been recognised as part of the Shakespearean canon since the mid-20th century. Sir Thomas More was first performed by the Royal Shakespeare Company in 2005 with the actor Nigel Cooke playing the role of More. 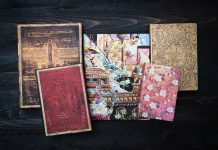 If you think this Shakespeare, Sir Thomas More cover design looks familiar, you’re right – we first introduced Shakespeare to the Paperblanks collection as one of our earliest designs, a Literary Manuscript. 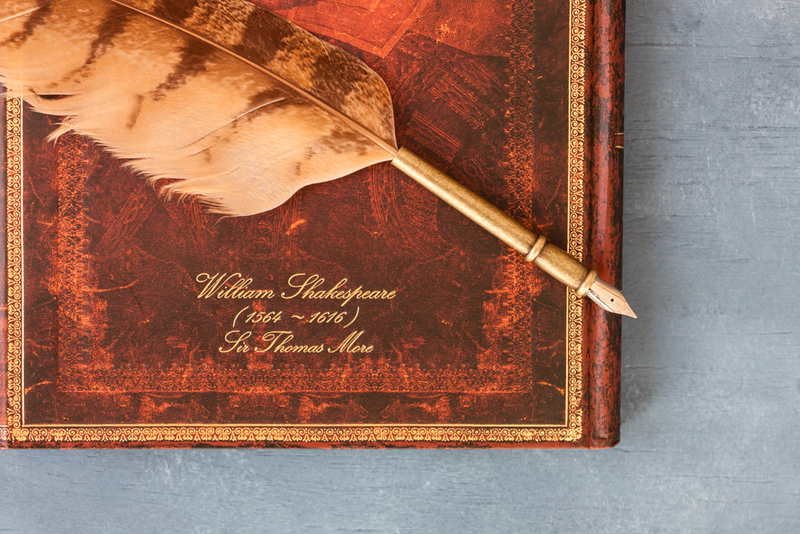 Over the years we’ve often gone back to the Shakespearean well for creative inspiration. 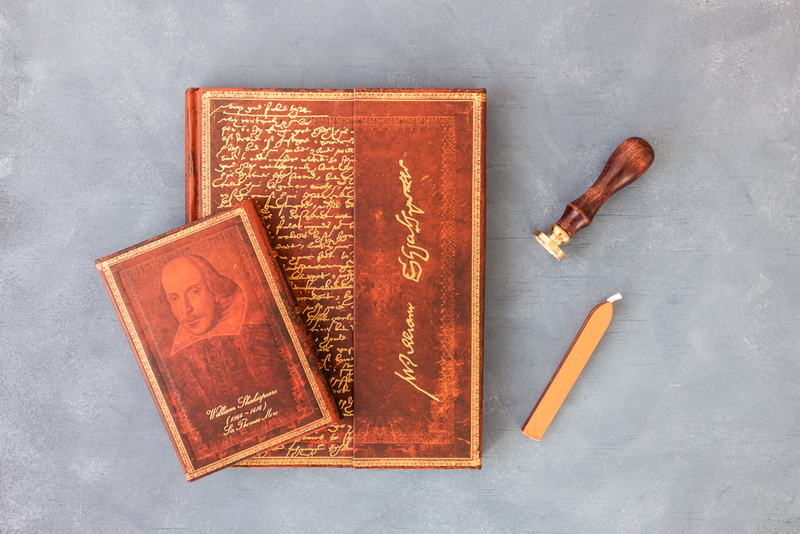 We have since produced a William Shakespeare Embellished Manuscript (first introduced in 2001) as well as a line of Special Edition Shakespeare items in 2016 to commemorate the 400th anniversary of his death. 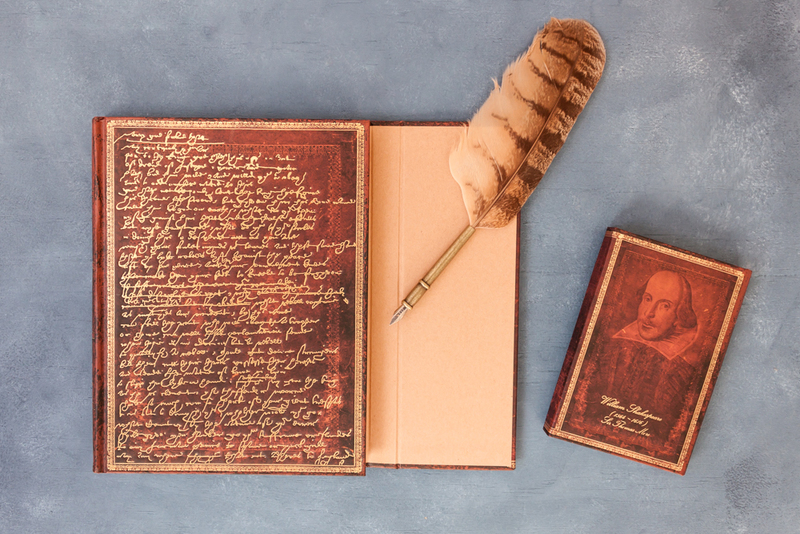 This season, we’re happy to bring Shakespeare’s contribution to Sir Thomas More back to our Embellished Manuscripts collection. 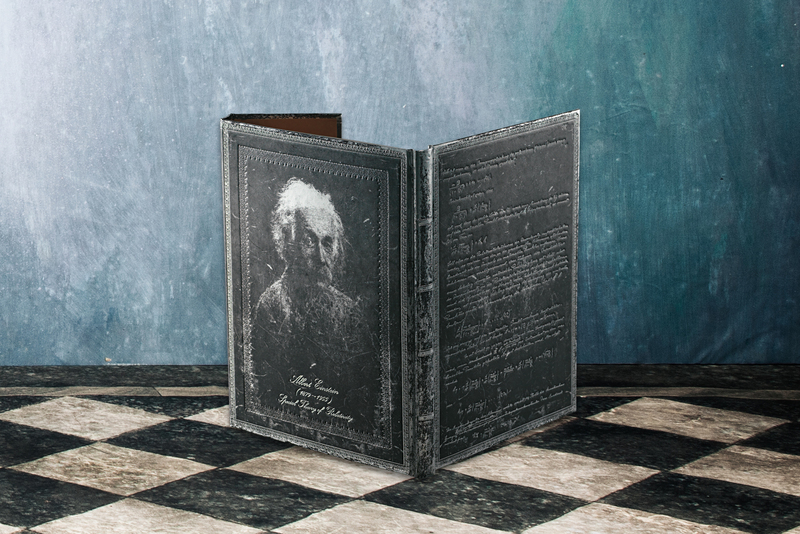 This edition features a portrait of Shakespeare on the back cover (like our Special Edition did) in addition to the manuscript on the front cover and his signature on the flap. 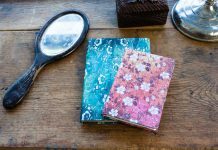 Previous articleCalling All Creatives: Feature Your Artwork on the Paperblanks Facebook Page! Next articleOur Newsletter Is Back!